True Colors provides safe, welcoming day care. We have created an environment where children can have fun and discover their talents! At True Colors, children learn by playing and exploring; taking part in adventurous activities; trying different musical instruments; going wild in the toddlers’ gym or simply relaxing during story time. Children love to play and explore the world around them. Our day care encourages young children to make new friends and try new things. 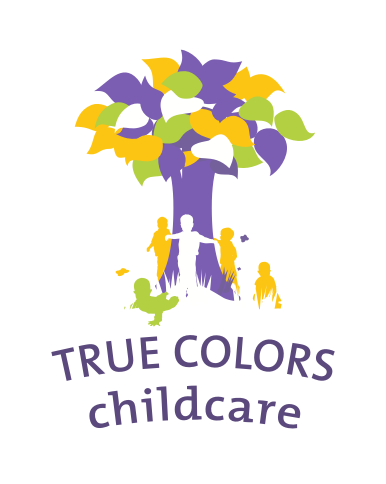 True Colors provides a safe and welcoming child-friendly environment under professional supervision. Fun activities stimulate creativity and self-confidence, to help your young child make the most of growing up! Our child day care has been specifically designed to give young children the tools they need to develop new skills and talents. We work with your child on their language skills in Dutch and English, early numeracy and social , communication and research skills. Careful preparation makes the transition to primary school easier. We use government-accredited programmes to ensure age-appropriate knowledge, skills and language development. All of our childcare staff are trained to work with children. And our specialists provide extra support where necessary. They are also happy to discuss your child’s development with you. At True Colors we offer the opportunity for children and babies to take their nap outside, should parents wish. We have special beds designed to keep your child warm and dry. The children sleep like a log and awake revived and refreshed from their rest in the healthy outdoor air. New friends and lots of different fun activities for children to enjoy. Challenging activities for 3+ children. Your child will love our day care centre. True Colors professionals provide a great environment in which your child can grow and learn. True Colors gives your child a head start when they start primary school. Our professional childcare team, prepares your child for either Dutch primary school at the age of four years, or for international school, which may accept pupils from the age of three. We are inspired by the International Baccalaureate Primary Years Programme (PYP) to prepare your child for the transition to primary school. All our childcare professionals speak English and Dutch with the children. This ensures that your child will soon pick up Dutch and English. We support children with their language development skills. This will help them feel at home in the Netherlands. If you don’t speak Dutch yourself, don’t worry. All of our communication with parents/guardians is in English and all of our staff speak both Dutch and English. We open early at 7.30. Your child can stay with us all day, until 18.30 at the latest (depending on your contract). Or you can collect them earlier. in Rijswijk and Delft standard from 7.30 until 18.30 and 52 weeks per year. 7.30-8.30 until 11.30-16.30: 4-8 hours per day.